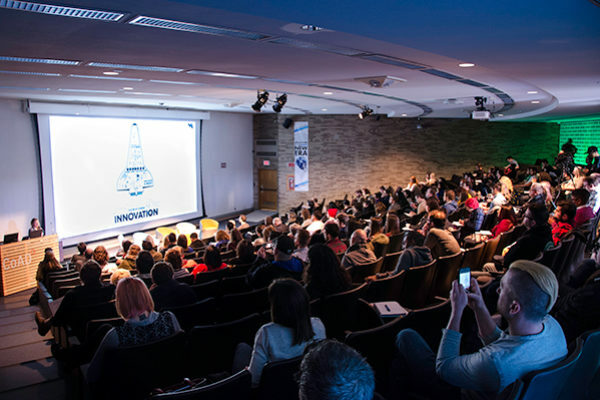 Michigan Interaction Design (MIxD) commits to serving as a platform for exploration, sharing and learning about the future of human-computer interaction design with a focus on diversity and inclusion. MIxD is a discovery organization about the future of human-computer interaction design with a focus on diversity and inclusion. This annual multi-disciplinary summit gathers designers, technologists, artists, scientists, students and more to explore, share and learn. MIxD was founded on the principles of inclusivity and collaboration in design and technology. The event is free and the presenters are diverse, offering a range of perspectives for a broad audience that is eager to learn and share ideas. We believe that bringing a diverse group of minds together can help us understand how design and technology shapes our future. Being free, open to the public and designed for a range of audiences (from high school students to industry professionals), MIxD exposes its audience to the world of design and technology that might have previously been inaccessible or misunderstood. It also creates a platform for shared voices and ideas.